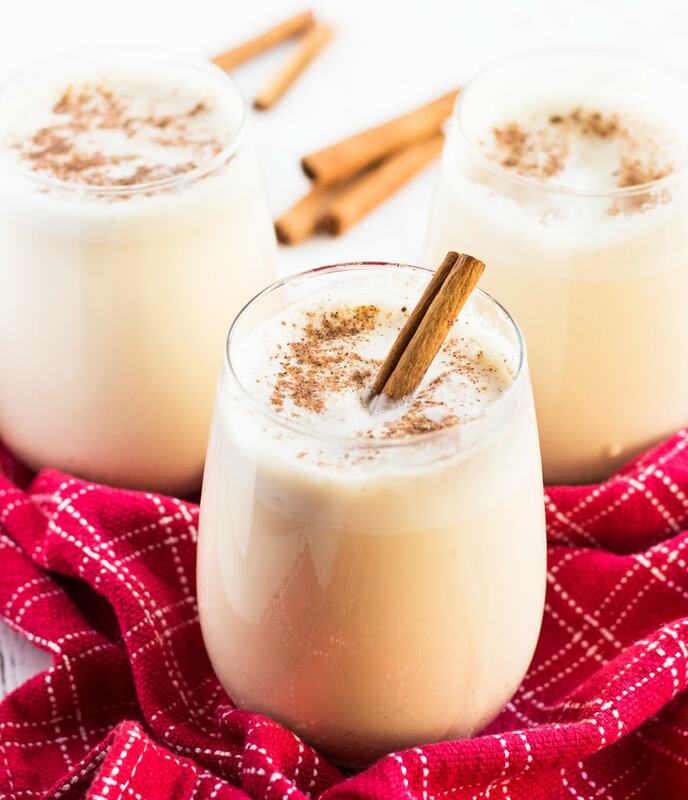 This easy homemade eggnog will put you in the Christmas spirit! The holiday drink is simple to make in your Vitamix blender. Who’s ready to celebrate the holidays? I sure am especially now that I have my easy homemade eggnog recipe perfected. It is rich, creamy and delivers a punch thanks to the alcohol. 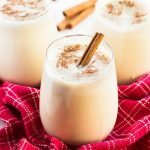 Eggnog is the go-to beverage to serve during the holidays. I made mine using all the classic ingredients: eggs, cream, milk, rum, bourbon and nutmeg. Blend them together in your Vitamix and it’s ready in no time! I say the “classic” ingredients because this recipe calls for fresh, raw eggs. Yes, this method is perfectly safe and I’ll tell you why. The secret is in the rum. Alcohol kills off any harmful bacteria the egg may have, making the eggnog perfectly safe to drink! I also suggest using the freshest eggs you can find. I dig into the back of the cooler at the grocery store to find a fresh dozen. Then I make the eggnog at home within 24 hours. This recipe also calls for two kinds of alcohol—white rum and good quality bourbon. The two together deliver a punch without either one being too overwhelming. I swear, I’m not trying to knock anyone out at the Christmas party. The balance of alcohol to milk and cream is perfect! 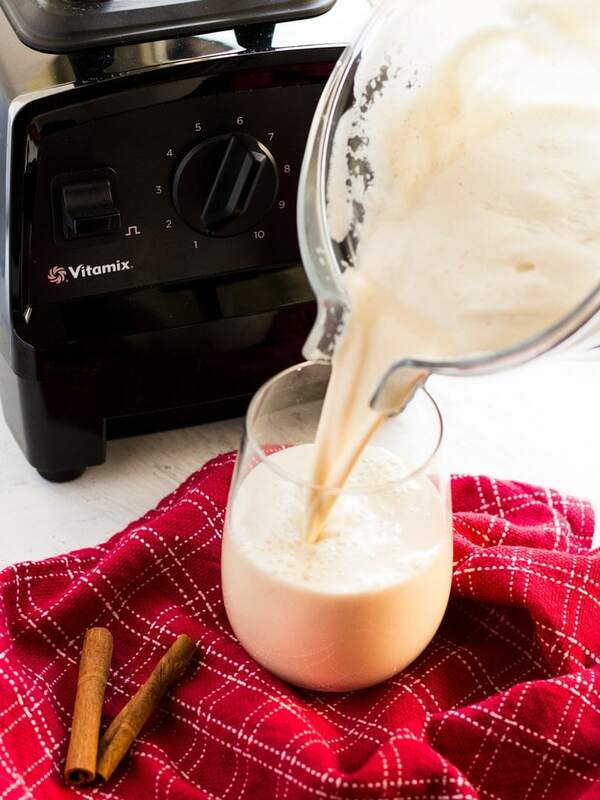 To make the eggnog extra creamy I combined the ingredients in my Vitamix E310 Explorian Series. Chilling the eggnog in the blender makes it super easy to pour into the glasses as well! To serve, I topped each glass with a sprinkle of nutmeg, and cinnamon sticks add a classy touch. 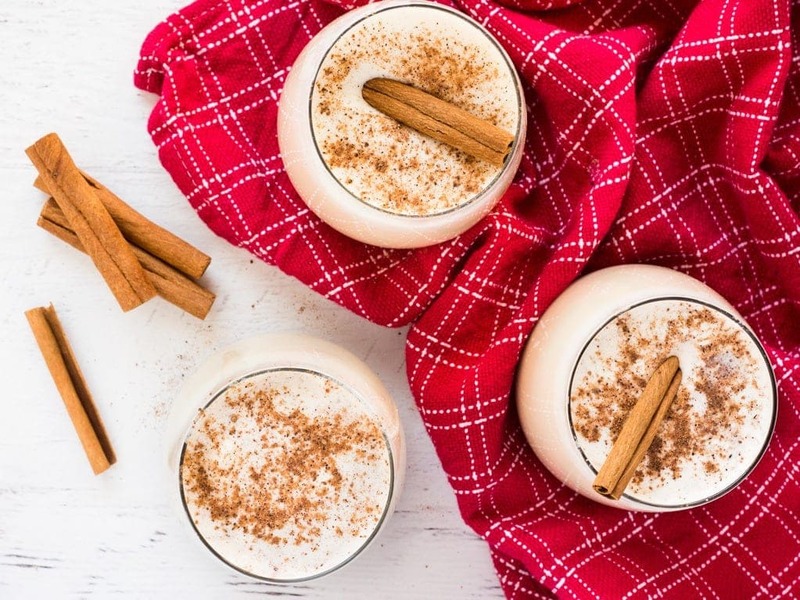 After all, this homemade eggnog is meant to impress your guests, right? Add fresh, whole eggs to Vitamix blender and blend on low speed (variable 1) for 30 seconds. With blender running, add sugar and blend for another 20 seconds. Turn blender off and add cream, milk, rum bourbon, nutmeg and cinnamon. Blend on medium speed (variable 4) until combined, about 10-15 seconds. Turn blender off and refrigerate with the lid secured overnight or up to three days. 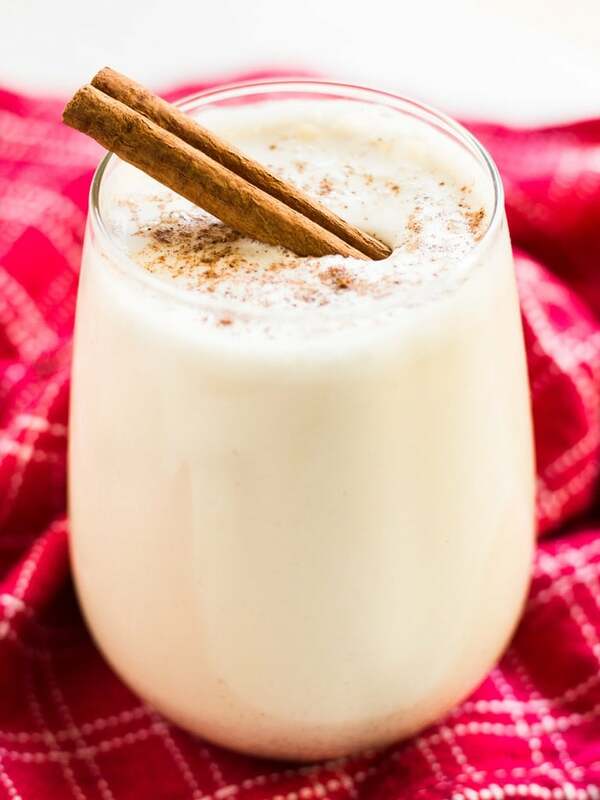 When ready to serve, give the eggnog a quick blend (10 seconds on variable 4 will do it) as the ingredients may have settled a bit in the fridge. Pour into glasses and garnish with a sprinkle of fresh nutmeg and a cinnamon stick. Well this has just put me in even more of a festive mood than I was already. I need to make some eggnog. 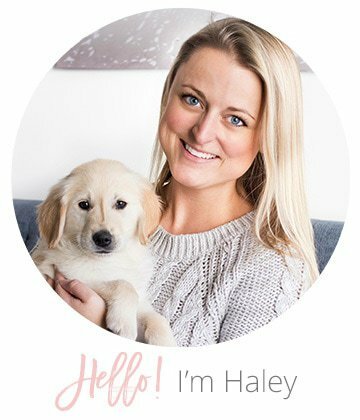 Love the photos, I can’t wait to try this! This recipe does look really easy and delicious. I will have to make this really soon.